In 1903, the Commonwealth of Pennsylvania began requiring county governments to issue license plate numbers to owners on behalf of the state. 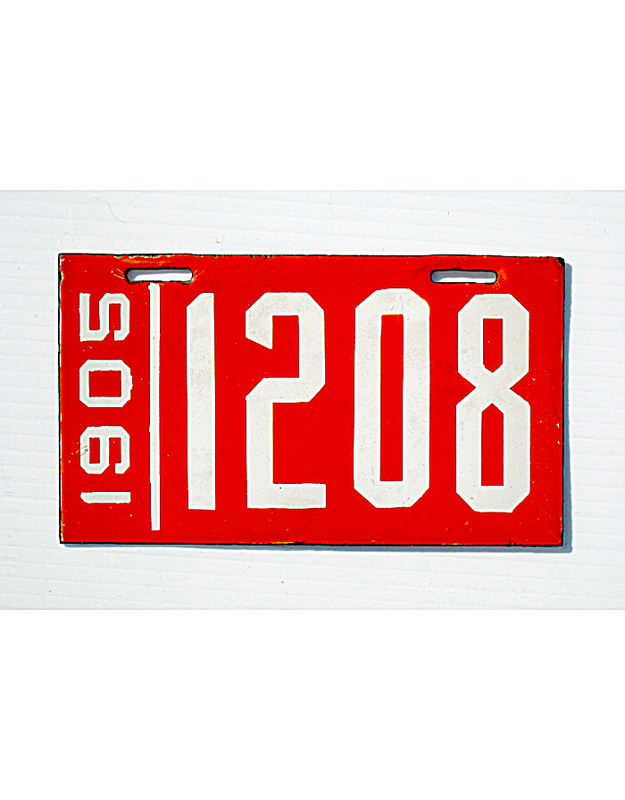 Each county was to start at number 1, and motorists were to produce their own license plates in order to display the assigned number. 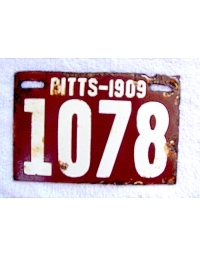 This practice continued through 1906, when the state began issuing uniform license plates to drivers and no longer required that the autos themselves be registered. 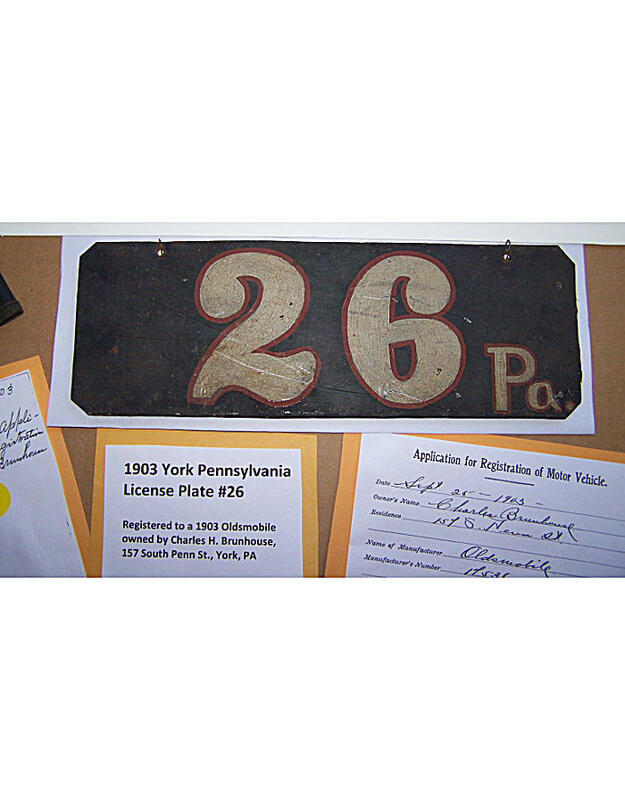 Surviving license plates made by owners under the county system (1903-‘06) are very scarce, are mostly low-numbered, and are almost never identified as to the county of origin. 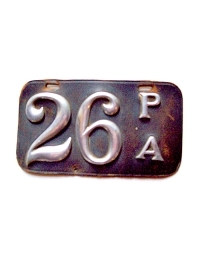 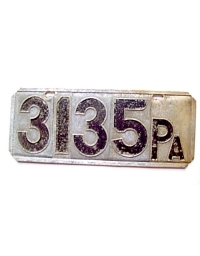 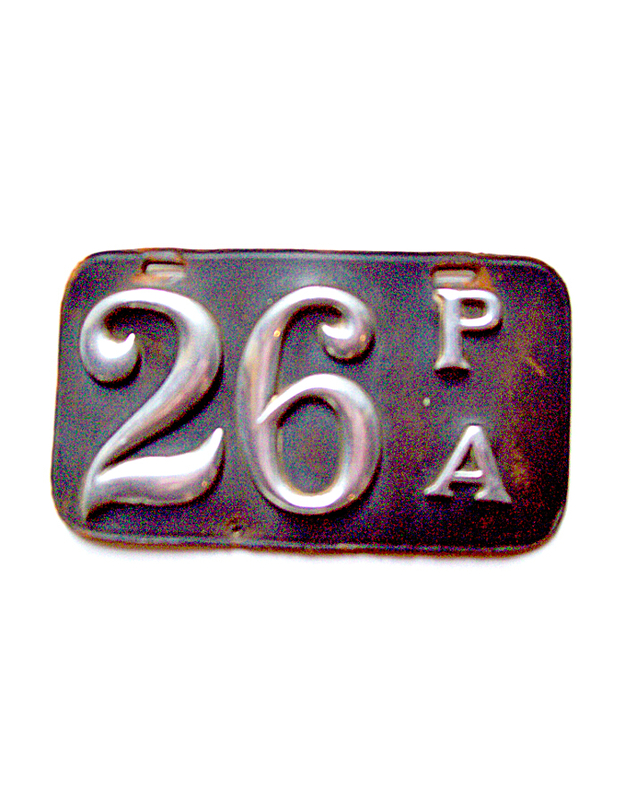 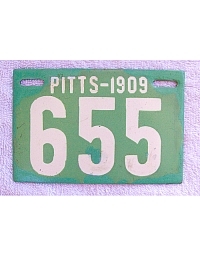 Although the state law did not require it, certain motorists used the state abbreviation PA or simply “P” on their tags to designate Pennsylvania. 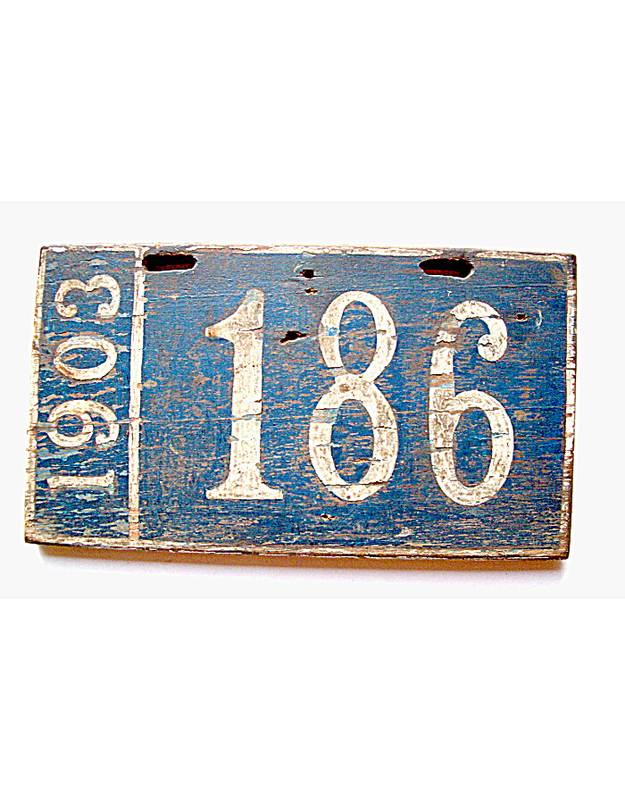 In at least one instance, the date “1903” was included on a wooden county license. 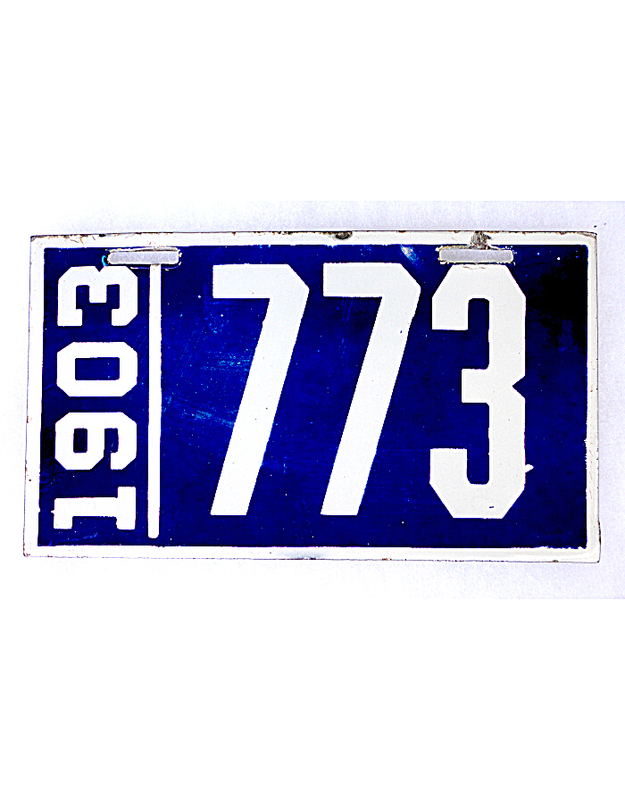 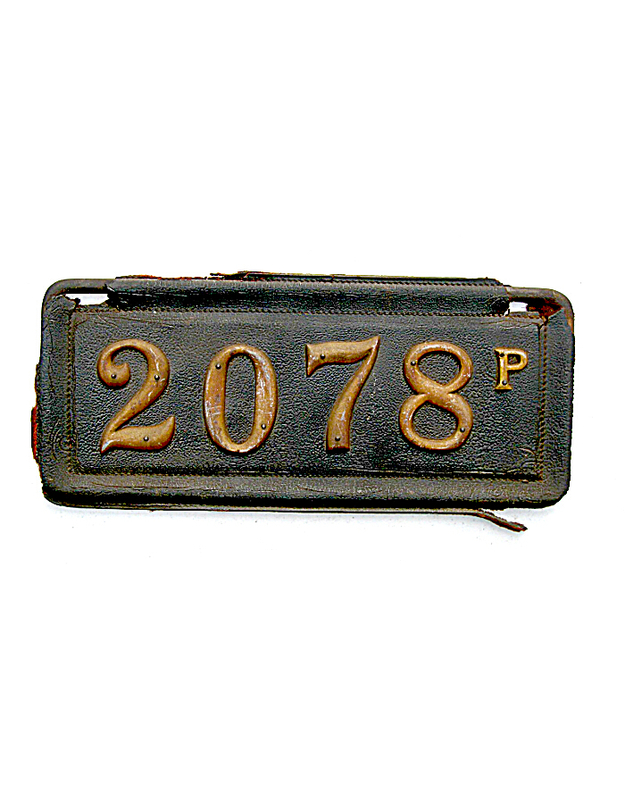 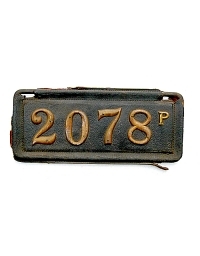 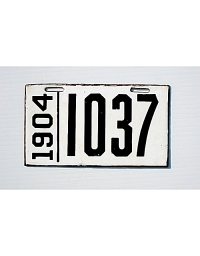 Philadelphia city issued uniform porcelain license plates to motorists annually from 1903 thru 1906. 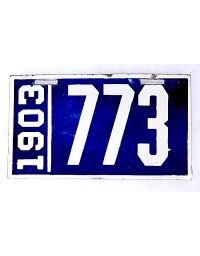 These are all dated, but do not include the city designation. Philadelphia’s 1903 license plate is the first dated auto license in the nation, and was the first in the nation intended to be used for only one year. Philadelphia’s licenses were not intended to register the automobile itself, but rather were the equivalent of today’s driver’s permits in that they were issued to the individual for use on any machine they were driving. 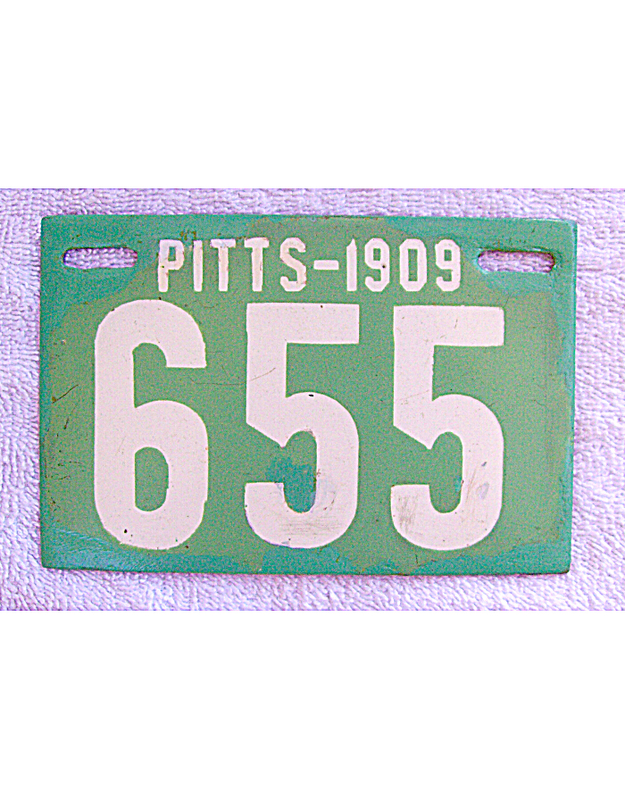 In the meantime the County of Philadelphia, like all other Pennsylvania counties, was issuing registrations to the automobile itself and, although there are no known license plates from the County, there are surviving registration certificates. 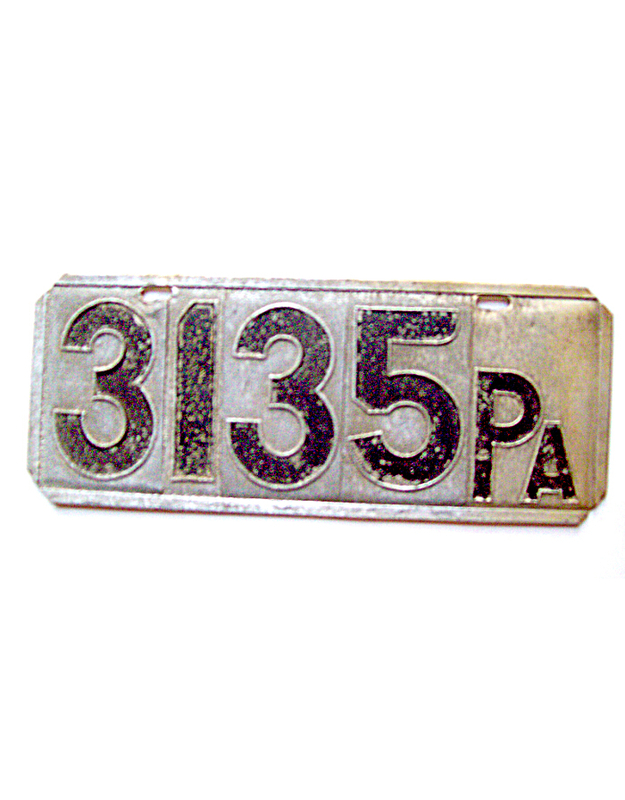 More research is needed to resolve this confusing overlap of city and county registrations within Philadelphia. 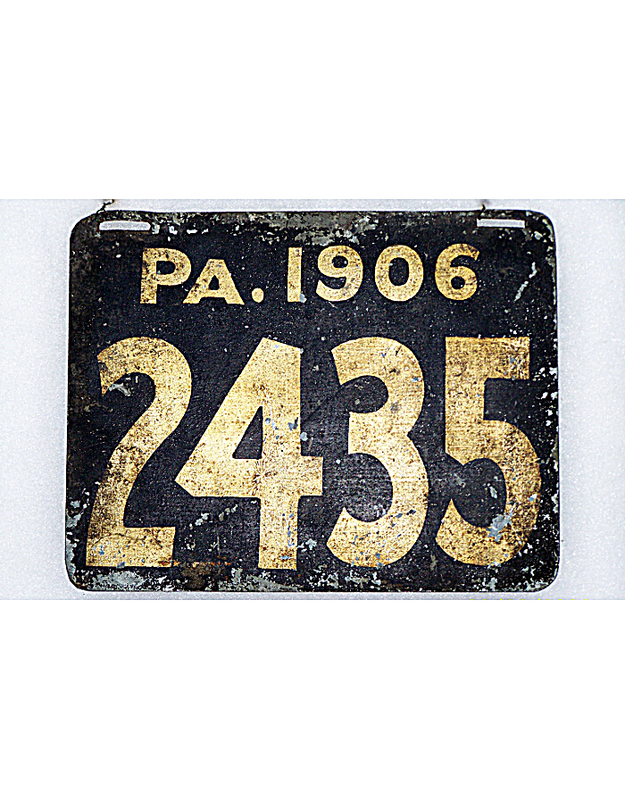 In 1906 the Commonwealth of Pennsylvania began issuing dated, official license plates to individual motorists as driver identification only. 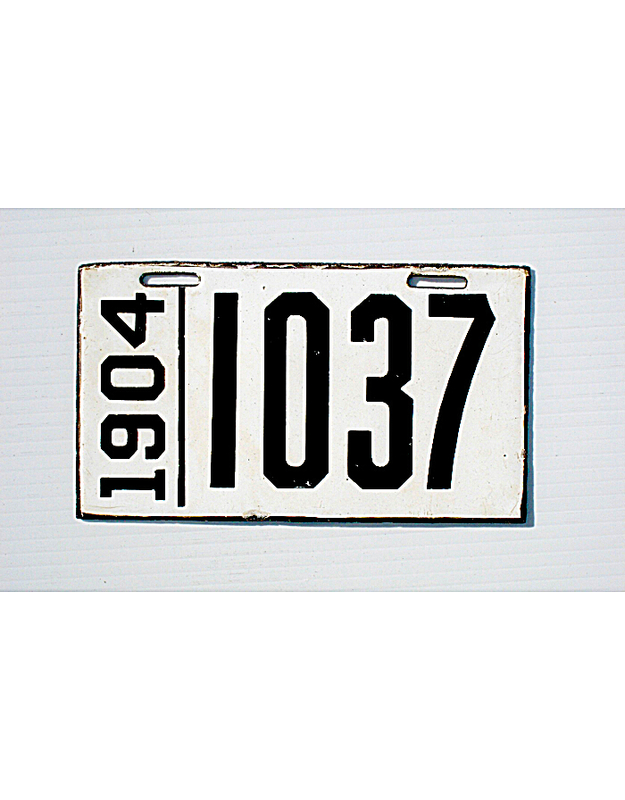 For a few brief years – 1906 thru 1909 – the machine itself was not required to be registered by the state. 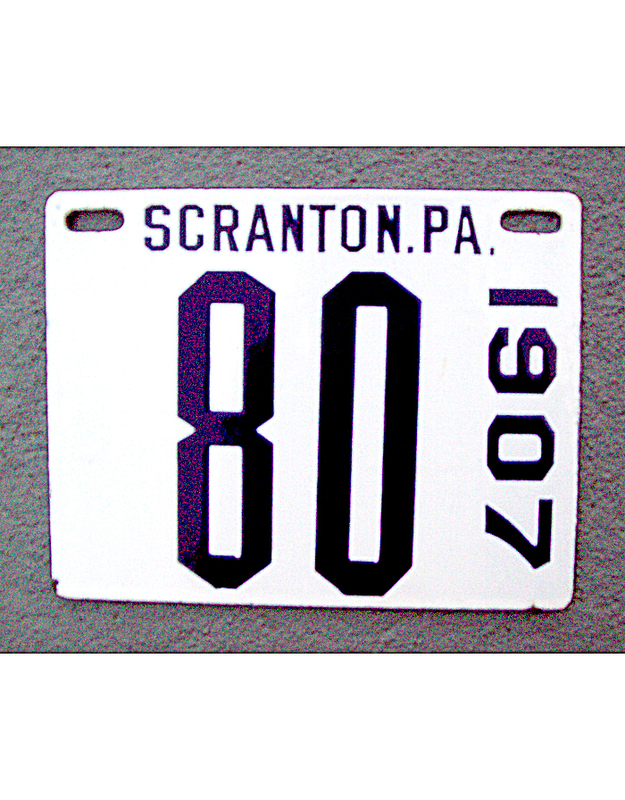 In the absence of state registration during those four years, a few select cities and towns, most notably Scranton and Pittsburgh began to issue municipal auto plates as registration for the vehicle. 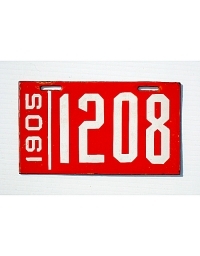 But beginning again in 1910, the Commonwealth re-instituted statewide licensing of automobiles (as well as drivers) by means of official state license plates, and all city licenses were discontinued. 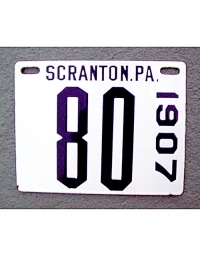 Scranton issued a standard official license plate in 1907. 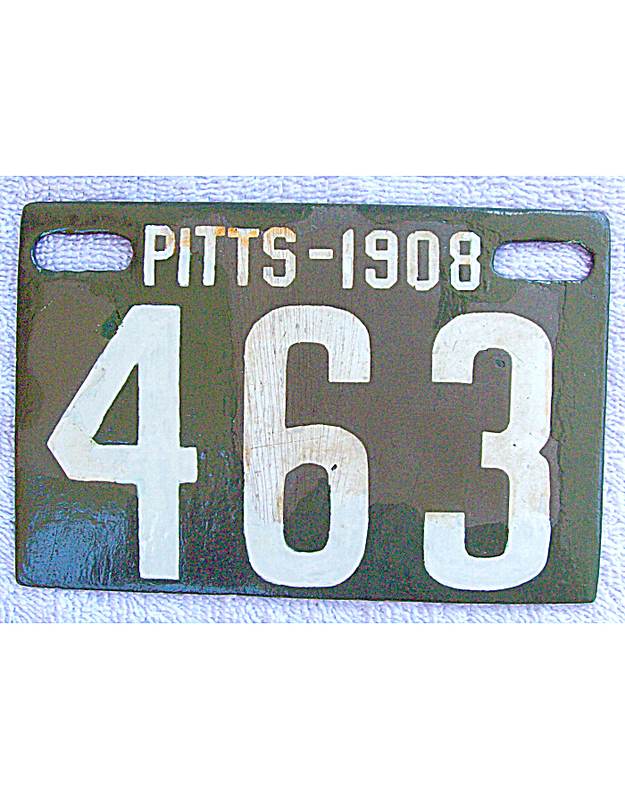 Pittsburgh required official municipal license plates at least as early as 1904, but virtually none are known in collections today earlier than 1908 and 1909 due to a strict law that old plates must be surrendered to city authorities at the time new licenses were procured. 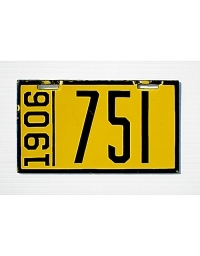 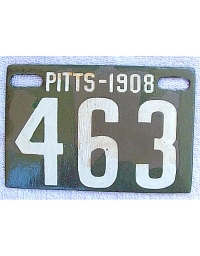 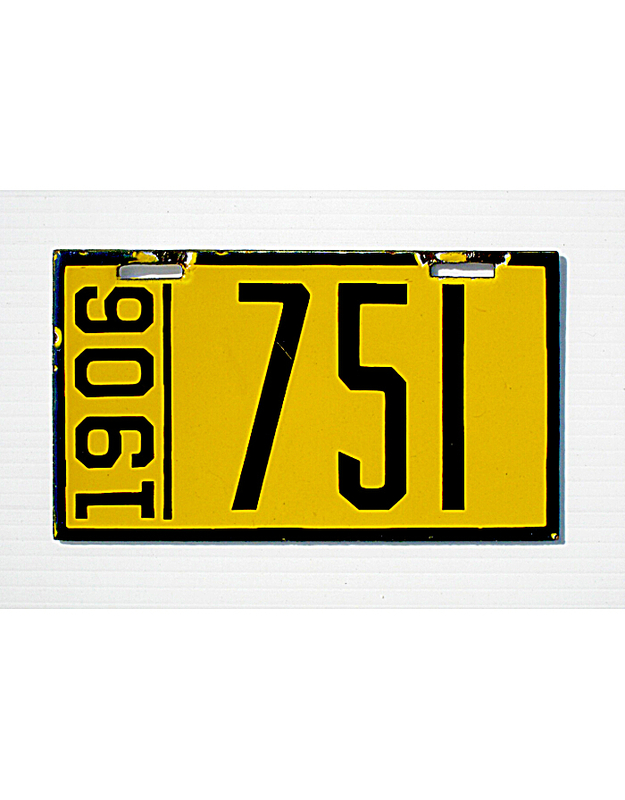 Pittsburgh plates for ’08 and ’09 are known in two separate color schemes to distinguish the number of seats in the automobile. 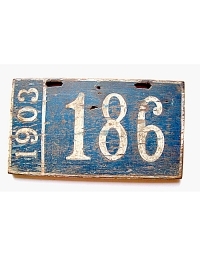 A Pittsburgh suburb, Sewickley, issued a small porcelain license plate in 1909.